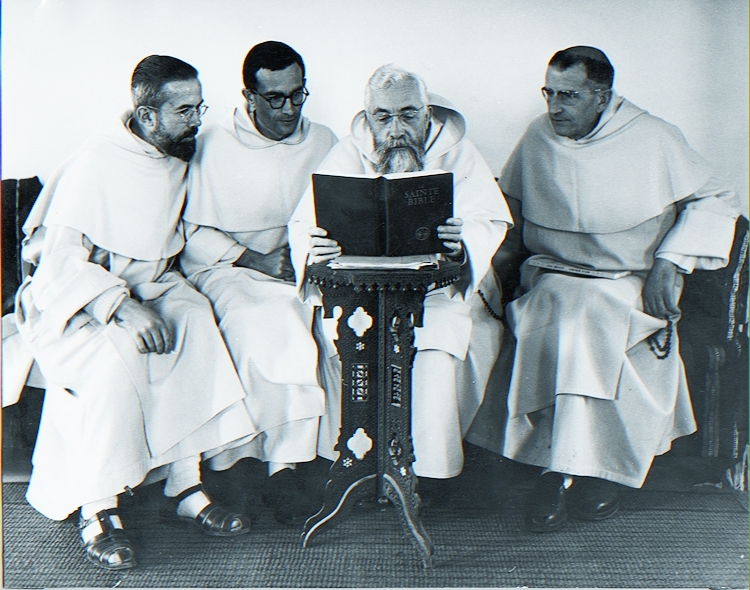 At the end of the Second World War, the École Biblique embarked on a vast project, that of the Jerusalem Bible. Designed to make available to the cultivated public the most reliable results of modern biblical research, the project consisted of a new translation into French of each Biblical book, with explanatory notes at the bottom of pages and scriptural references useful in Margins. Each book, or group of books, was preceded by a solid introduction, in which it was presented by addressing questions relating to the establishment of the text, its literary history, its historical context, its canonicity and its theology. The scientific direction of the project was the responsibility of the École Biblique, but the latter was assisted by other francophone exegetes. This fine scientific collaboration was carried out in concert with Éditions du Cerf (Paris), a publisher founded by the Dominican religious. Between 1945 and 1955 the various books of the Bible were published in separate booklets. Finally, in 1956, the entire Bible was published in one volume. His original title was simply The Holy Bible. But, due to the close connection with Jerusalem, the book quickly became famous under the title The Bible of Jerusalem, and this name is now official. At the time of its publication, it was emphasized the innovative character of its presentation of the biblical text, and since then other editions of the Christian Bible have adopted its system of introductions and arrangement of translation, with notes and scriptural references . Originally conceived primarily as a working Bible, the Jerusalem Bible was also widely used as a liturgical text. The Jerusalem Bible came into being in the wake of the Divino encyclical Spiritu of Pius XII (1943), which recognized the legitimacy of historical and critical studies and recommended in particular the study of literary genres to recognize the truth of texts Inspired. Harvesting the fruits of decades of historical criticism of sacred texts, she intended to make them accessible to a very wide audience. Versions in other languages ​​came later. The Jerusalem Bible was published in English in 1966 by Darton, Longman and Todd, and Doubleday. A few years later, in 1973, the original French edition was completely revised; This new edition went through several reprints, in very varied formats.